Isaac Deutscher’s lecture “On Socialist Man” was given to the second annual Socialist Scholars Conference held at the Hotel Commodore, New York, on September 9-11, 1966. Deutscher had come from London as the principal invited guest at the conference. This reply to Deutscher’s address by Romanian-American anarchist writer Marcus Graham deals, in particular, with the Minutes of the First International and the sabotaging of the Hague Congress by the Marx clique. First published 1976 by Simian Publications (Cienfuegos Press), Over the Water, Sanday, Orkney, KW172BL. At the second annual Socialist Scholars Conference in New York in September 1966 the late Isaac Deutscher delivered an address on “Socialist Man” which was subsequently printed in the National Guardian of September 24th 1966. This address was all the more striking for what it failed to say rather than what it did say. Deutscher’s chief contention was that the political acts of the marxist States of Russia, China and elsewhere are contrary to those envisaged by Marx, Engels, Lenin and Trotsky. Such a sweeping statement requires substantiation from the historical facts of the time when the aforementioned individuals lived and acted. The main public activities of Marx and Engels centred in and around the formation and existence of the First International. Lenin and Trotsky’s main activities lay in their acts as Prime and War Ministers respectively, in the first marxist State of Russia. Factually, Deutscher devoted most of his address to a criticism of Freud in relation to marxist ideology, but failed to point out any activities of Marx, Engels, Lenin and Trotsky which would substantiate his contention. It is with these pertinent omissions that this rejoinder will be dealing. Overlooking what he himself had asserted at the very outset of his discourse, that he was reluctant to speak on the subject for the reason that his mentors Marx and Engels “left … only a few scattered hints about this subject,” Deutscher proceeded to point out the kind of society that Marx and Engels had in mind. That the kind of Socialist Man which, Deutscher claims Marx and his followers envisaged is certainly not the one being nurtured at the present moment by the rulers of any marxist State is true enough. The question that begs itself here is whether or not Marx and his followers did in fact ever envisage the kind of society Deutscher ascribes to them. Deutscher produced no evidence to show that Marx and his associates had envisaged that kind of spirit of tolerance, integrity and love in their relationship with fellow human beings, which could be conducive to the building of a Free Society. On the contrary, Marx and his associates employed the very tactics and methods rejected and denounced by Deutscher when used by the disciples of Marx in every existing socialist controlled country. Evidence in support of the aforementioned statement is to be found in a volume entitled “The First International: Minutes of the Hague Conference of 1872,” edited and translated by Hans Gerth and published by the University of Wisconsin Press in 1958. This remarkable volume contains the original longhand report in German of the Minutes, followed by Gerth’s translation. The same volume also contains the Report to the North American Federation of the International Workingmen’s Association written by F.A. Sorge and Maltman Barry’s Report written for the London Standard. “The International Workingmen’s Association was founded in London in 1864 at a meeting of British Trade Unions, French labour delegates and those, among them Karl Marx, who after 1848 sought refuge in Victorian England from political reaction and police persecution. Despite the conflicting objectives of others, Marx succeeded in making of the First International an organ primarily devoted to socialist propaganda. Because of his rivals Marx in a few years recognised that he had to put an end to the meetings (called Congresses) of the International and move its General Council from England. This he accomplished at the Congress at The Hague in 1872. It is the Minutes of this Congress, recording the manner of Marx’s victory, that make up the contents of this volume. “In 1864 Marx had written the Inaugural Address of the International and his draft had been accepted by the French Proudhonists, social liberal trade unionists and Marxists … Everybody could find his aspirations satisfactorily embodied in the statement of policies and aims … The following Congresses of the International at Geneva (1866), Lausanne (1867), Brussels (1868) and Basle (1869) served as a stage for airing well-nigh all the competing anti-capitalist thought, ways and policy proposals of nineteenth century radicals. “Bakunin … a colourful romantic rebel had built up a following in Italy, in Switzerland and in Spain … He established an organisation the Alliance of Socialist Democracy, in Switzerland. In the summer of 1869 he and his followers were received in the International. “Bakunin held forth at the Basel Congress of 1869 … His personal magnetism, persuasive diction and capacity to win intensely devoted followers made him the menace. Marx and Engels set out to destroy him, using the Hague Congress for that purpose. It was the one Congress of the International which Marx and Engels attended. Bakunin could not come there for he could not travel through France or Germany, where he was ‘wanted.’ He had to rely on James Guillaume, the editor of the Bulletin Jurassien and leader of the Jurassien Federation, the anarchist organisation of Geneva building-workers and watchmakers in the sweatshops of the Jura mountain valleys … Cafiero, a twenty-five year old convert to Bakunin’s cause, had organised the Italian anarchist-minded sections into a federal council and at the founding Congress at Rimini ‘before the workers of the world’ he had declared that the new federation was breaking off all ties with the London General Council because the latter wished to impose the doctrine of the authoritarian German Communists upon the International. Hence the absence of any Italian delegates at The Hague. “In Spain, Marx and Engels had Lafargue, Marx’s son-in-law, and Mesa, a native Spanish anti-Bakuninist on their side. Nevertheless, the Marxists here, too, lost out to the Anarchists … Marx and Engels were firmly convinced that Bakunin … maintained a secret society within the International. The Anarchists have always denied this. The Minutes of the Hague Congress bear out the conclusions drawn by Hans Gerth. Just a few striking incidents reported in the Minutes will clearly show this. “Marx, in the name of the Credentials Committee, proposes that the mandate for W. West be declared null and void because he has been (1) a member of a suspended section; (2) a member of the Philadelphia Congress and (3) a member of the Prince Street Council. West’s credentials are signed by Victoria Woodhull, who for years had had an eye on the presidency (of the United States); she is president of the spiritists, preaches free love, has a banking business, etc. Section 12, founded by Victoria Woodhull, initially consisted almost exclusively of bourgeoisie, it agitated especially for the women’s franchise and released to the English-speaking citizens of the United States the notorious appeal charging the I.W.A. with all sorts of nonsense; this led to the organisation of various sections in that country.” Minutes, p. 194. “The Congress is restless because West takes up too much time … “Sauva does not wish to speak for section 12, but defends the–good qualities of Mrs. Woodhull and of Section 12 …. Mrs. Woodhull … has made speeches for the commune, has established sections … . Section 2, – believes that the General Council has acted with undue haste in suspending Section 12, which has certainly paid its dues.” Minutes pp. 196-197. “The evening session was opened … The Chairman says that West has no right to be present.” p. 199. “Engels protests against West’s presence in the hall and relates West’s utterance that he (West) would have access to the Congress in any case, ‘if not through the door, then through the window; if not through the window, then through the chimney.’ West is made to withdraw.” p. 203. “Section 12 of New York proved troublesome for Marx’s followers. Section 12 was led by Mrs. Victoria Woodhull (1836-1927), who had come to New York from China with her younger sister Tennessee Claflin. In 1870 … they founded Woodhull and Claflin’s Weekly. The Weekly carried the first translation of the Communist Manifesto (1872), advocated ‘advanced ideas,’and exposed Henry Ward Beecher and appealed to reformist sectarians of all sorts and conditions.” p. 178. “Herman takes the floor to comment on the agenda, the General Council and its powers, and he expresses the view of the majority of the delegates who wish to retain the General Council, but to divest it of all power.” p. 206. “Sorge replies to Guillaume: we, too, have had experience and we would like to see what the Jurassians have accomplished …” p. 207. “Morago says he would be in favour of abolishing the General Council, merely retaining a central correspondence and statistics. The Spanish Federation is absolutely autonomous and demands the true, free, autonomous I.W.A. The General Council should have no power whatever, neither over sections nor over federations. “Sorge, Becker and comrades introduce a motion of precedence that the rules concerning the powers of the General Council be discussed at once by one speaker each, for and against for five minutes after which the vote shall be taken.” p. 208. “Brisme says that it is futile to discuss the powers of the General Council; we (the Belgians) do not wish the General Council to have any power; this is a question of principle about which we in Belgium all agree … we demand that the General Council be merely the clerk of the I.W.A. and must never interfere in the internal affairs of a country. “Sauva believes that one speaker for and one against do not represent all opinions.” p. 209-210. “Marx says: We demand these powers not for ourselves but for the future General Council; we would rather abolish the General Council than follow Brisme’s wish and transform it into a letter box; in that case the leadership of the association would fall into the hands of journalists, mainly non-workers.” p. 211. “Lafargue says the General Council has been accused of having called the Congress to The Hague in order to secure a majority there: one should just watch how the Dutch always vote with the Belgians against the General Council in order to understand how well prepared the General Council was.” p. 212. “Engels, Marx and other members of the former Council propose that the seat of the General Council … be transferred to New York and that the General Council should consist of the following members of the New York Federal Council: Kavanagh, St. Clair, Cetti, Laviele, Laurel, Bertand, Bolte and Carl, with the right to increase their number up to a total of fifteen.” p. 213. “The first question, should the General Council be moved is voted in the affirmative with 25 ayes against 23 nayes. Marceleau complains that people laugh when he and his comrades abstain from voting, they have definite instructions to do so.” p. 215. “The vote on the question, Where shall the General Council be moved? results in 31 votes for New York, 14 for London, 1 for Barcelona, 11 abstentions.” p. 216. “… the new paragraphs of the Rules concerning the political action of the working class was submitted for discussion.” p. 216. “Vaillant pleads for … the Rules. Force is used against us and force can only be driven out by force; the economic struggle must become one with the political struggle, and in the revolution (it) must consummate the abolition of classes through the proletariat dictatorship.” p. 217. “Guillaume replies … ‘We take the stand which Hins took at Brussels when he declared we do not wish to mix with present-day governments, in parliamentarianism, we wish to overthrow (aplatir) all governments … We are adherents of a definite policy, of social revolution, of the destruction of the bourgeois politics, of the state … We reject the seizure of political power in the state, but demand the complete destruction of the state as the expression of political power.” p. 219. “Lomguet says … had we been better organised as a political party … the Commune would not have been proclaimed and victorious in Paris alone, but also in Berlin and elsewhere … What is to become of Guillaume’s collectivism without some centralisation of forces? 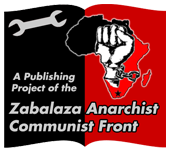 Because of the economic struggle the workers must organise into a political party lest nothing remain of the International and Guillaume, whose master is Bakunin, cannot belong to the I.W.A., while holding such views.” pp. 219-220. “Article 7A:- In its struggle against the collective power of the propertied classes, the working class cannot act as a class except by constituting itself into a political party, distinct from and opposed to all old parties … The conquest of political power has therefore become the great duty of the working class.” pp. 285-286. “to expel citizen Bakunin from the I.W.A. “likewise to expel citizens Guillaume and Schwitzguebel in the conviction that they still belong to the society “Alliance.” pp. 225-226. (Two members of the Committee, Roz Splingard and Walter von Heddeghem withdrew from the Committee in protest against the Report. pp. 226-227). “Alerini suggests that the Committee have only moral, not substantive, proof; he was a member of the Alliance and is proud of it, for it propagated, established and strengthened the I.W.A. in Spain so that eighty-four federations exist there now; you are but a holy inquisition, we demand public hearings.” p. 227. “Splingard requests further information concerning the manner in which Marx managed to get hold of the documents as that could not be done honestly. Bakunin merely failed to keep a promise to translate Marx’s work, because he was advised against this, the Alliance existed in Geneva and Spain before the I.W.A; in Geneva you yourselves recognised it; furnish proof that it still-exists…” pp. 227-228. “Morago takes the floor and speaks at length in Spanish in favour of the Alliance, against the resolutions of the Committee, etc. It is well past midnight; van den Abeel passes word to the chairman that the premises must be cleared. The Congress dispenses with the translation of Morago’s speech the more so as he and his Spanish fellow delegates do not stand accused and it is resolved to give hearing –only to the accused, Guillaume and Schwitzguebel and then to take the vote.” p. 228. “Schwitzguebel declares he is convinced that his conviction has been a foregone conclusion; he says he will remain loyal … to the I.W.A … even should he be expelled.” pp. 228-229. (According to Guillaume, Schwitzguebel confined himself by saying: “We have been condemned in advance, the workers, however, will condemn the decision of your majority.” L Internationale, Documents et Souvenirs (1864-1878), Vol. II, p. 348. (Gerth’s footnote, p. 29 of Minutes). “The expulsion of Mikhail Bakunin from the I.W.A. is passed by the Congress with 29 Ayes against 7 Nayes and 8 abstaining votes. “The expulsion of James Guillaume from the I.W.A. is passed by the Congress with 25 Ayes against 9 Nayes and 9 abstaining votes. “The expulsion of Adhemar Schwitzguebel is rejected by the Congress with 25 Ayes against 16 Nayes and 10 abstaining votes. “Upon Fr. Engels’ notion the Congress resolves by a large majority to table Point 3 of the recommendations of the Committee (further expulsions) …” p. 231. The background to the origin of the Alliance, which served as the main pretext for the rigged majority of the Congress in expelling Bakunin and Guillaume from the International is mentioned nowhere in the Minutes. Nor is any mention made of the accusation by Marx and his close associates that Bakunin was a secret agent of Tsar Nicholas and the Pan-slavists, a fact that the pro-Bakunists no doubt brought up in defence of Bakunin inasmuch as the accusation was a falsehood. It is therefore of historical interest to adduce some significant data on these two periods in his life as given in the biographical pamphlet “Mikhail Alexandrovitch Bakunin” by Hyppolite Havel, reprinted in the May 1939 issue of MAN! It is, likewise, worthy of historic note here to point out the relationship which had existed between Marx and Bakunin in earlier days. They were once personal friends. But when disagreements on ideological principles started to develop Marx turned upon Bakunin as an antagonist whom he must destroy. Marx’s treatment of Bakunin was not a singular one. At one time he considered Max Stirner a personal friend, but after the publication of Stirner’s The Ego and his Own, the friendship ended. Marx considered it an outright attack on his ideas. Also, when J.P. Proudhon’s The Philosophy of Poverty appeared, Marx met this criticism of authoritarian ideas with a bitter attack under the derisive title The Poverty of Philosophy. The “Report” of the “Inquiry Committee” and its “recommendations” approved by the rigged majority of the Congress is of such a questionable nature that a closer examination of its contents is called for. Proof no.’s. 1 and 2 are in themselves of such a questionable nature that the Committee’s own working condemns both as utterly worthless. The nearest the Committee’s “Report” comes to submitting a semblance of evidence against Bakunin is in Proof No. 4 when it states that “he (Bakunin) or his agents have had recourse to threats lest he meet his obligations.” And even here the reference is, in reality, to Nechaev’s sole letter to the publisher who advanced Bakunin 300 roubles for a contemplated translation of Marx’s Capital. Karl Marx who, as the Minutes show, concocted the series of accusations upon which the Committee’s “Report” is based, revealed his true character when admitting that he had “contributed … pieces from Russia … but naturally must not give the name of the sender” and that “the committee members have naturally given their word of honour not to indicate what went on in the discussion.” Furthermore, Marx brazenly asserted: “the documents have not been obtained in a dishonest manner, they were sent without having been requested.”! What the word “honour” meant to the Committee of Inquiry can best be evaluated by the kind of “Report” they brought in. Is there any wonder that at least two members of the Inquiry Committee had the courage and the decency to resign in protest against the Report? That the Congress was rigged is most strikingly illustrated, as the Minutes show, by its attitude to the Spanish delegate Morago who spoke against the Report and the “majority” of the Congress decided not to translate what he said – “as he and his Spanish fellow delegates do not stand accused …”! The excerpts brought forward from the Minutes of the last Congress of the First International clearly show how Karl Marx, Engels and their associates resorted to the most despicable tactics against their ideological opponents – tactics totally devoid of integrity, decency and plain honesty. They came well prepared to assume control of the Congress by a rigged “majority” and to pass whatever resolutions they had prepared in advance – in order to deprive the majority of the constituted numerical membership of the International of every semblance of rights and finally crowned their acts of perfidy by expelling Mikhail Bakunin (who was not even present) and James Guillaume for the International! The most striking contrast however, as revealed by the Minutes, lies in, the integrity shown by the anti-authoritarians towards the future existence of the International. As Engels admitted to Sorge, the International came to its death after it had been moved to New York. That must have been precisely what the “majority” at the Congress had planned. In Europe the anti-authoritarians exerted a much greater influence than did Marx and his fellow authoritarians. “Should the General Council wish to interfere in the internal affairs of a federation, the federations represented by the undersigned assume joint obligation to maintain their autonomy unless these federations will take a course directly opposed to the General Rules of the I.W.A. accepted at the Geneva Congress. “We summon all federations and sections to prepare from now until the next Congress for the triumph of the principles of federal autonomy as the organisational basis of work in the body of the International.” – 17 signatures are attached to the statement, pp. 229-230 of the Minutes. The above position taken by the pro-Bakuninists is the most striking ,documentary proof of the differences between the pro-Marxian authoritarians and the anti-authoritarian anarchists. The revelations that come to light in reading the excerpts from the Minutes of the Hague Conference of 1872 poses the question as to whether Marx, Engels and their associates were – in view of the tactics they employed against their ideological opponents – devils incarnate? The answer can only be a negative one, although their actions are a far more serious debasement of their integrity than it might have been were it done out of spite. The tragic fact stands out that every one of their actions was undoubtedly done in the name of “The end justifying the means” – a basic tenet of every authoritarian-minded person. The General Council of the International was controlled by Marx and his followers while most of the sections of the federation throughout the world were under the influence of Bakunin’s anti-authoritarian ideas. It was this fact that led Marx and his associates to choose the course they pursued at the Congress. The decision to besmirch the character of so noble a personality as Victoria Woodhull, who was not even present to defend herself, presented them with no qualms whatsoever. The Minutes of the last Congress of the First International are of great historical significance. They help one to understand more clearly events that have taken place in the socialist world since that last Congress in general and events that are taking place in the “successful” marxist countries in particular. Idealists in the intellectual world who readily rejoiced over the October revolution were very reluctant to believe at first the news of the continuous persecutions that the self-styled pure marxist Bolshevik Government of Russia was carrying out against its ideological opponents. Many of these intellectuals attempted to minimise and even justify the persecutions. The Anarchists were the first victims, to be followed by the anarcho-syndicalists, Social-Democrats and Social-Revolutionists. Still the intellectual world hesitated to take a stand. It was only when news leaked out of Russia relating to the persecution of writers who dared to criticise the Government that some intellectuals began to realise that the Bolshevik regime was indeed capable of carrying out indefensible actions. Then came the news of the infamous trials of the leading members of the Bolshevik Government whom the majority of the Communist Party had chosen to label as counter-revolutionists and in most cases put them to death. The intellectual world that at one time had refused to believe the atrocities attributed to the Bolshevik Government, finally realising the truth, began to speak out in protest against those actions. Following Stalin’s death, Kruschev, who during Stalin’s reign of terror and assassination against ideological opponents served as his right-hand man and subsequently became one of Stalin’s successors, finally admitted at a secret meeting of the Communist Party that most of the political victims jailed and executed were innocent! Much has been written about the trumped-up trials carried out under the Stalin regime, as well as about the continuous persecutions of other political dissenters, but still no-one has been able to offer a clear-cut explanation as to how self-styled marxist idealists holding the reins of government could be capable of carrying out the kind of actions and policies which they unashamedly repeated over and over again. It is in this respect that the Minutes of the last Congress of the International is a document of great significance. [*] The excerpts from these Minutes help one, for the first time, to understand the results of the tactics and methods employed by Marx, Engels and their followers at that Hague Conference. They taught the marxists who came after them to emulate their teachers with a vengeance. The latest proof is now being enacted in China following the death of “Chairman” Mao and it may well surpass that which followed Stalin’s death. In view of what took place at the Hague Congress of 1872, as shown by the quotes from the Minutes presented here, one cannot help but pose the question as to whether there is any justification for Isaac Deutscher’s attempt to associate humanism with Marx and Engels in particular, and marxists in general. The tactics and methods employed by these two leading spokesmen of marxism against their ideological opponents at the Hague Congress certainly disputes this. Equally as questionable is Deutscher’s depicting Lenin and Trotsky as being closer to the envisaged humanist “Socialist Man” than Stalin and his successors proved to be. In reality, Lenin and Trotsky, the figure-heads of the first marxist Government to come into existence, instituted persecutions and executions of political opponents, with their final most brutal and murderous act – the drowning in blood of the soldiers, sailors, workers and peasants who took part in the Kronstadt rebellion. “The end justifies the means” served as a guide for Lenin and Trotsky, even if it led to the murder of ideological opponents. In this respect they only emulated the tactics and methods employed by their marxist predecessors at the Hague Conference of 1872. One may surmise that Mikhail Bakunin, James Guillaume, W. West and Victoria Woodhull escaped death by a marxist firing squad only because the General Council under Marx had no machinery of government at its disposal. The utter lack of humanism as evinced by every marxist government that has come into existence leaves one puzzled as to how Deutscher failed to realise this – in the face of his own rejection of what each and every one of these Governments stand for. Deutscher’s further contention is that Marx had envisaged a “classless and stateless society free from social and political oppression.” One need only compare the tactics employed by Marx, Engels and their fellow authoritarians at the Hague Congress with the position taken by the anti-authoritarian Bakunists in order to realise that Deutscher’s vision would have been a correct one if he had referred, instead, to the latter. It was, of course, difficult for Deutscher, being himself a marxist, to realise that the basic foundation upon which centralisation rests is authority and authority cannot be enforced without recourse to every form of repression, including the killing of political opponents. Every past and present Government, regardless of whatever label it carries, fully attests to this fact. To contend, as Deutscher did, that a triumphant marxist State could or would ever lead to the building of a “classless and stateless society free from social and political oppression,” is to engage in pure fantasy. A truly free society cannot be built by vindictive people imbued with authoritarian concepts. Such a society can only be built by men and women who are, at all times, ready and willing to trust and respect the integrity of ideological opponents in the pursuit of the common goal – the dawn of a classless and stateless society. The marxian tactics and ideology, based as it is upon the “Dictatorship of the Proletariat” has, in reality, proved itself to be nothing other than the dictatorship of the marxian parties in every marxian ruled country. The promised “withering away of the State” once the marxists gained control of the State is no longer repeated by any marxian spokesman in view of the iron-clad rulership which every marxian Government maintains. It is these facts which have led the intellectual world to total disillusion in what they once trusted and to the rediscovery of the anarchist idea. As a result of this, in the last twenty years, scores of books on anarchism have been published as well as the reprinting of the classical works. Anarchism today stands more vindicated than ever before and it is the anarchist movement everywhere that points out to the oppressed that before they can attain freedom from economic and political exploitation they themselves must arise and bring about the dawn of a truly free society, by overthrowing every existing government – the principle upholder and perpetuator of injustice. Marcus Graham (1893-1985), even at the age of eighty-four, was an excellent example of the indefatigable anarchist propagandist. Born in Rumania in 1893 he immigrated to the United States with his family in 1901 where he became first an egg candler then a garment cutter. Becoming acquainted firstly with socialism he soon turned to anarchism and was an active opponent of militarism during World War I. While working with an anti-war group in New York he was held in Patterson Jail, New Jersey, under the name of Robert Parsons and transferred to Ellis Island in an attempt to have him deported. Since then he was arrested many times, threatened with deportation, beaten by the police and suffered from public apathy or hostility as well as numerous privations. In spite of these obstacles – he helped to bring out several anarchist reviews, edited and published the beautiful “Anthology of Revolutionary Poetry”, and edited and published the monthly American anarchist journal MAN! for seven years until it was closed down by the American Government in 1940. Graham lived most of his early life in the semi-clandestine world where many fighters for freedom have occasion to find themselves. He contributed to several anarchist papers before launching, in January 1933, MAN!, which, at the time, was the organ of the International Group in San Francisco, which was an important link between different strands of the North American anarchist movement. In its pages Graham published articles covering the whole spectrum of anarchist thought, the politics of Roosevelt’s America, crime, fascism, religion, resistance, art, poetry, literature and anarchist profiles — a real snapshot of life and anarchism throughout most of the Thirties. MAN! continued to be published, despite police and state harassment, until its forced closure by the US government in April 1940. * Students of social history will be grateful to Hans Gerth for translating the Minutes from the original German long-hand script, and to the University of Wisconsin Press, Madison, Wis., for publishing them. Letter of September 12 and 17, 1874, The Selected Correspondence of Karl Marx and Frederick Engels, 1846-1895, International Publishers, New York, 1942, p. 330. The Selected Correspondence of Karl Marx and Frederick Engels, p. 327. Gustav Mayer, Engels, p. 227. Briefe und Auszüge aus Briefen von Joh. Phil Becker, Joe Dietzgen, Friedrich Engels, Karl Marx, u.A. an F.A. Sorge und Andere (Stutgart, 1906), p. 597. E.H. Carr, A Study in Fanaticism: Carl Marx, p. 146. E.H. Carr, A Study in Fanaticism: Carl Marx, p. 247. Franz Mehring, Karl Marx, Geschichte seines Lebens (Soziologische Verlagsanstalt, Leipzig, 1933) p. 539.